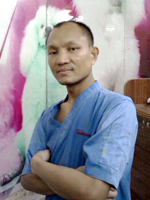 Dr. Chatchai, a native of Chantaburi Province, graduated from Kasetsart University School of Veterinary Medicine, class of 2002. 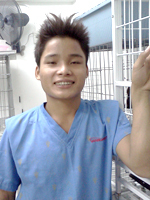 He then completed an internship in Small Animal Medicine and Surgery also at the Animal Medical Center of Kasetsart University. 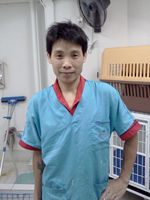 Dr. Chatchai, joined Sukhumvit Veterinarians team in 2005. His professional interests include emergency medicine and cardiology. During his free time, he loves to travel, go shopping with his family, do some house chores and surf the internet. He lives with his wife and one lovely daughter. 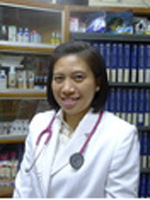 Dr.Wachiraporn or Dr.Nun is a graduate of Chiangmai University College of Veterinary Medicine, class of 2008. 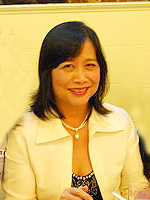 She then continued her studying and obtained a Master Degree from Chulalongkorn University. Dr.Wachiraporn worked as a relief veterinarian in 2009, and officially joined the team in 2011. 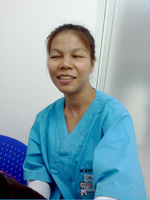 Her professional interests include endocrinology and surgery. She has 2 dogs, a 9-year-old female Golden retriever and a 12-year-old female Shih-tzu. In her spare time she enjoys traveling, surfing internet, playing guitar and listening to music. 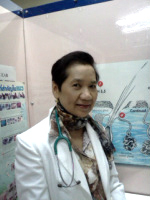 Dr. Kanita Chongstitwattana graduated from Chulalongkorn University School of Veterinary Medicine in 1976, and promptly began working at the Sukhumvit Veterinarians Clinic. She took a break and went to further her studying in Illinois and then went on to practice in Switzerland for a while. 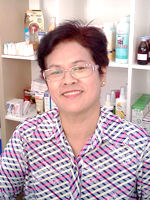 Dr.Kanita is married to Khun Prapat, an Architect also from Chula University. Her home is shared with three sons (Joey, Nickie and Peter), one cat (Anna) and thirty-two dogs !!. In her spare time Dr.Kanita enjoys spending time with her family, playing golf and reading. 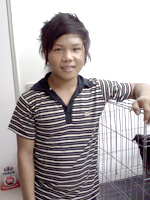 Khun Pia recently joined our team in 2011. She brought years of experience and a wealth of knowledge along with her. As an essential part of our front desk staff she enjoys meeting and greeting all of the new pets that walk through the door. Pia loves to hear all of the stories about how pets have enriched the lives of our clients. During her time off you might find her traveling, spending time with husband or reading. She brings us a great sense of friendship and has been a wonderful asset. 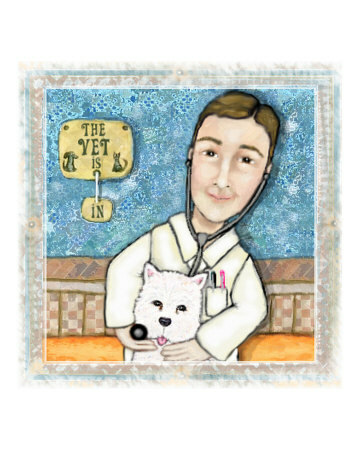 Jib has been working with Dr.Kanita in the veterinary world since she was a teen. She began as a part-time kennel assistant and has since grown into a full time position and become proficient in all aspects of patient care and routine visits. She is an animal lover by far. Her interests are in dogs and cats care. While at work she mostly enjoys meeting all of the different patients and getting to know their personalities. She believes in making sure that all animals are at ease and are as comfortable as possible and she is key in patient care. She loves her co-workers and keeping the animals we care for healthy and happy. Outside of the clinic she enjoys time with friends, walking her dog Daisy, reading at any chance she gets, surfing internet and watching movies. 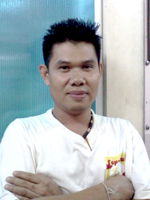 Uan joined our team in October 2009. 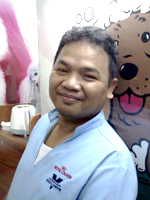 You may have seen him in the rooms assisting Dr.Chatchai and helping with patient care. He's also a talented dog groomer. When he is not at work he enjoys quality time with his wife and lovely daughter. The one thing he enjoys most about his career choice, is seeing a sick animal leave our hospital feeling healed and with bright eyes when they see their family! Boonlert is responsible for all aspects of pet grooming. He completes the groom from start to finish on the majority of breeds to a very high standard. He takes his responsibilities very seriously and love what he does. We have a growing number of customers, and our success is based on his exceptional friendly service, and honesty. 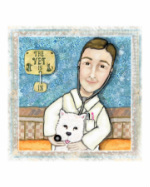 Boonlert's primary concern is the fair, humane and compassionate treatment of every dog under his care. He's happily married with 3 children.